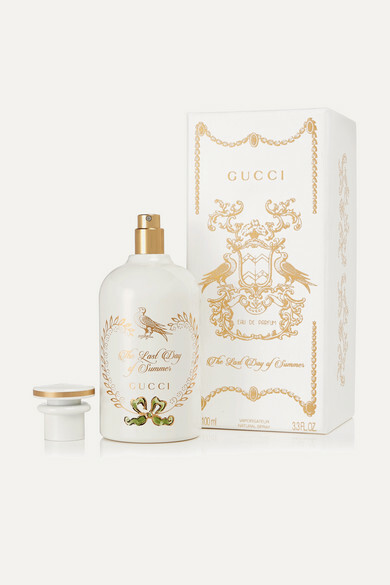 Each fragrance from Gucci Beauty's 'The Luxury Edition: The Alchemist's Garden' collection is created to tell a story of a place, a moment, a season or smell of a memory. This 'The Last Day of Summer' Eau de Parfum is inspired by a particular time when Alessandro Michele was walking in a forest in early fall, and is infused with woody and earthy notes of Patchouli and Vetiver, before softening to a sweet Nutmeg. It's housed in a vintage-style bottle that will look so pretty on any vanity table or nightstand.